St Augustine’s Priory teaches long-lasting habits of wellbeing like no other school. 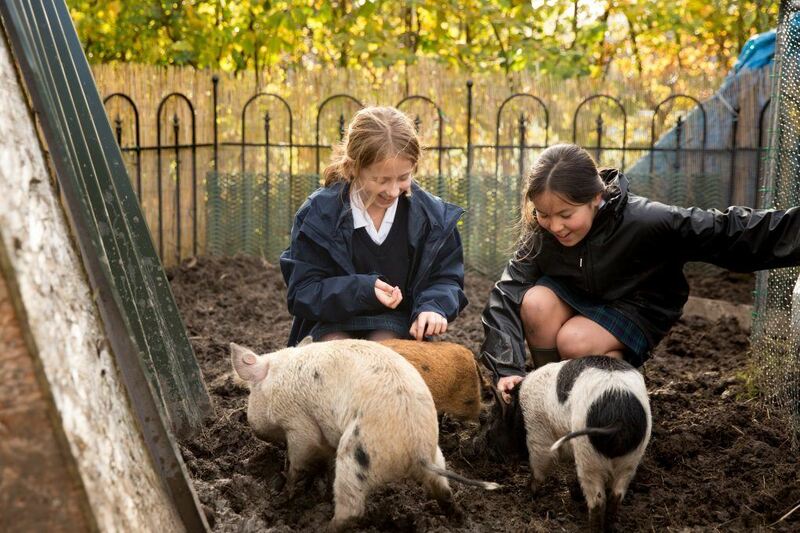 A London day school with 13 acres, we use our land to maximise the potential of our students and families. 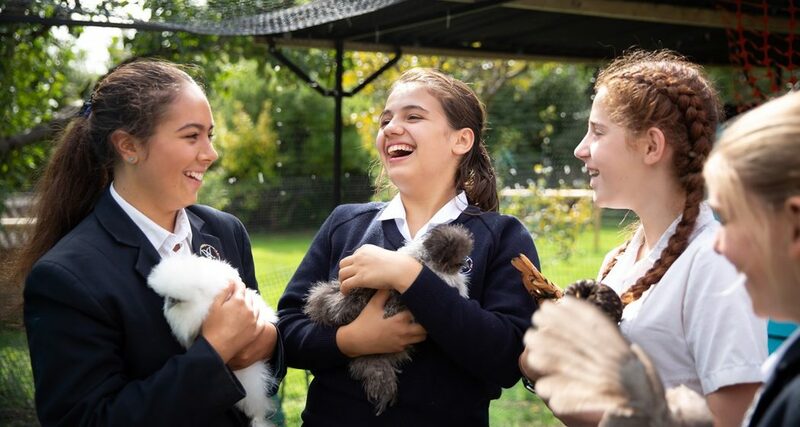 On our farm with chickens, micro-pigs and an endangered variety of sheep, girls become Farm Managers. They care for the animals– including weekends and holidays. We may be a day school but our pastoral care is year long. Parents are involved too. One mum came in at 10pm each night during the summer to train chicks to stay on their perch! Whether gathering acorns and apples from the orchard for the pigs, or selling eggs to buy chicken feed, these are life-long habits. They reduce our carbon footprint and embed sustainability. We use everything. 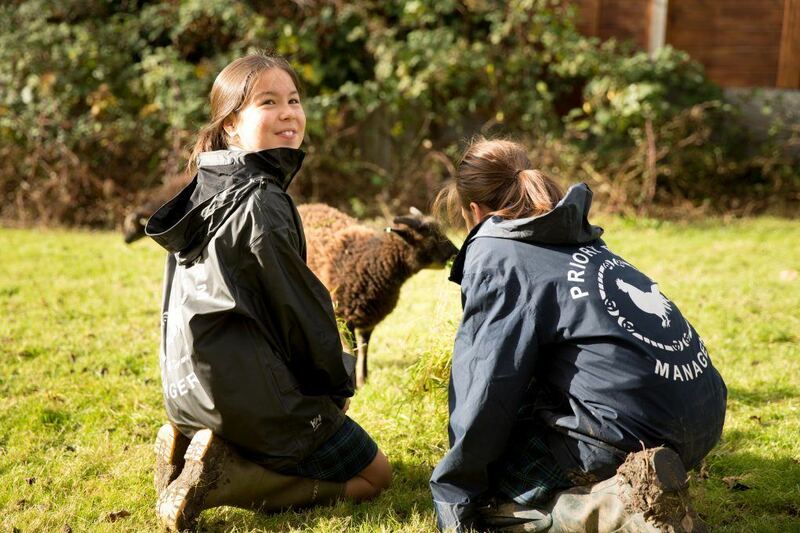 Sheep are rotated around the grounds reducing the need for using lawn mowers; pigs’ “black gold” becomes manure in our allotment where girls, parents and staff grow vegetables. Wool from the sheep deters slugs and snails. 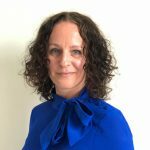 Our Head of Science launched the project in 2017 as part of British Science Week. He has led this farm organically, seeing no obstacle, and in doing so has taught girls lessons for life. When a neighbour complained about the cockerel crowing he built a shed using Physics expertise to muffle the sound. Girls explore the absorption of waves and destructive interference through the principle of superposition. They help put solar panels on the chicken coop to power by the sun the electric door which keeps the chicks safe from foxes is. This reinforces the teaching of renewable energy sources and energy transfers. Our orchard has trees which are 100 years old. We supplemented these this year by planting trees chosen by girls; like the Golden Rain Tree with flowers in summer and lantern shaped fruits in autumn. Most are native species including historic varieties like the Wild Service tree with Autumn fruits that were dried and used as chequers in the middle ages. Girls gather and press apples for juice which they sell. Indeed their enterprise means they sell everything – even bags of animal feed to unsuspecting Open Day visitors. They are learning that protecting the future begins in the present and grows out of the past. The nuns who lived on this site originally were self-sufficient. The produce now grown on our allotment is sold or picked for families. They are learning the politics of food-security and how to sustain crops in drought. For a local competition (Ealing in Bloom) all of the Juniors were involved and they recorded their work in an Art portfolio. Sixth Formers preparing for Veterinary Science applications are learning problem solving in animal husbandry including lambing. Local schools bring their nursery children to visit. From 3-18, across every department, our grounds provide food for thought, mental space and ways of living sympathetically with our environment. Everything we do is encircled in our logo – a circle like the cycle of life.